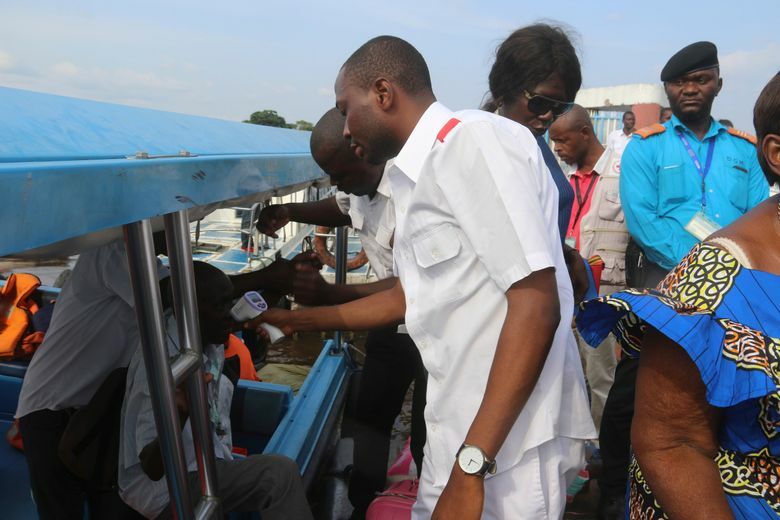 The spread of the often-lethal hemorrhagic fever to a provincial capital of 1.2 million people has health officials scrambling to monitor for Ebola at busy ports in the capital, Kinshasa, which is down the Congo River from the infected city of Mbandaka. KINSHASA, Congo — Congo’s fight to rein in a deadly Ebola outbreak has authorities crossing the border to buy up available thermometers, a World Health Organization official said as the health ministry on Thursday announced that confirmed cases had reached 31, including nine deaths. The spread of the often-lethal hemorrhagic fever to a provincial capital of 1.2 million people has health officials scrambling to monitor for Ebola at busy ports in the capital, Kinshasa, which is downstream from the infected city of Mbandaka on the Congo River. Mbandaka is one of three health zones with confirmed Ebola cases, complicating efforts to find and monitor hundreds of people who have been in contact with those infected. Two of the zones are rural and remote, with few roads or other infrastructure. 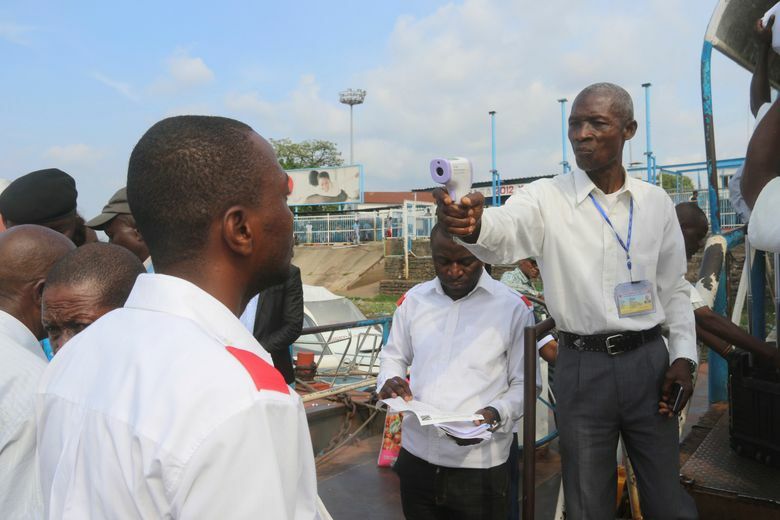 In Kinshasa, travelers streamed off boats at ports on the Congo River and ran a gantlet of health officials watching for signs of infection. The Republic of Congo’s capital is across the river from Kinshasa, a city of 10 million. As of Thursday, Congo’s health ministry reported 31 confirmed Ebola cases, 13 probable cases and eight suspected cases. It said suspected and probable cases are removed from the totals if the tests come back negative, explaining the fluctuating figures. This is Congo’s ninth Ebola outbreak since 1976, when the disease was first identified. The virus has twice made it to Kinshasa but was effectively contained. 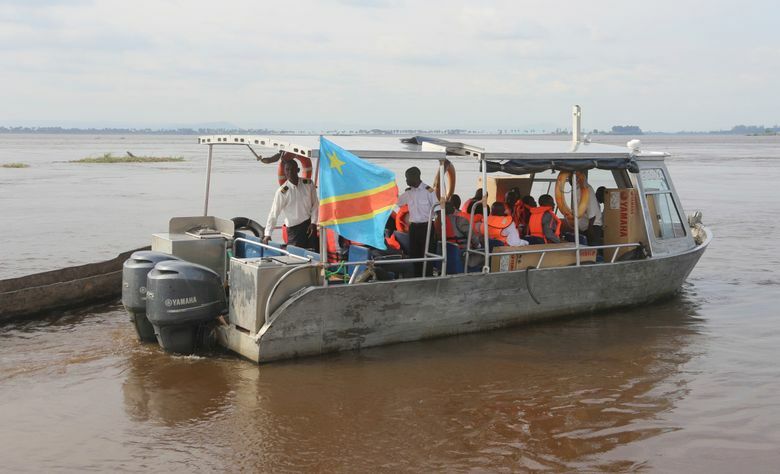 Some residents of the capital expressed confidence that the outbreak would not reach their city from the rural villages or Mbandaka, which is an hour’s flight from Kinshasa but several days’ journey by barge. “The victim will be far from others so that he cannot contaminate them. The doctors have already gone down to the site to see what’s going on, so how is this disease going to happen here in Kinshasa?” asked Georgette Boluka, a market vendor at one of Kinshasa’s ports. Concerns remained among health officials, however, after the aid group Medecins Sans Frontieres on Wednesday said two infected patients who fled from an Ebola treatment center in Mbandaka later died. “Forced hospitalization is not the solution to this epidemic” and instead more community engagement is needed to prevent the virus’ spread, said MSF’s emergency coordinator, Henry Gray. The WHO emergencies chief, Dr. Peter Salama, warned Wednesday that “the next few weeks will really tell if this outbreak is going to expand to urban areas or if we’re going to be able to keep it under control.” The risk of spread within Congo is “very high,” WHO says. Ebola is initially transmitted to people from wild animals, including bats and monkeys. It is spread via contact with the bodily fluids of those infected, including the dead. There is no specific treatment for Ebola. Symptoms include fever, vomiting, diarrhea, muscle pain and at times internal and external bleeding. The virus can be fatal in up to 90 percent of cases, depending on the strain. WHO began vaccinations this week and is using a “ring vaccination” approach, targeting the contacts of people infected or suspected of infection and then the contacts of those people. More than 600 contacts have been identified. WHO also is accelerating efforts with nine countries neighboring Congo to try to prevent the Ebola outbreak from spreading there, saying the regional risk is high. Associated Press video journalist John Bompengo in Kinshasa, Congo, and AP writer Carley Petesch in Dakar, Senegal, contributed to this report.